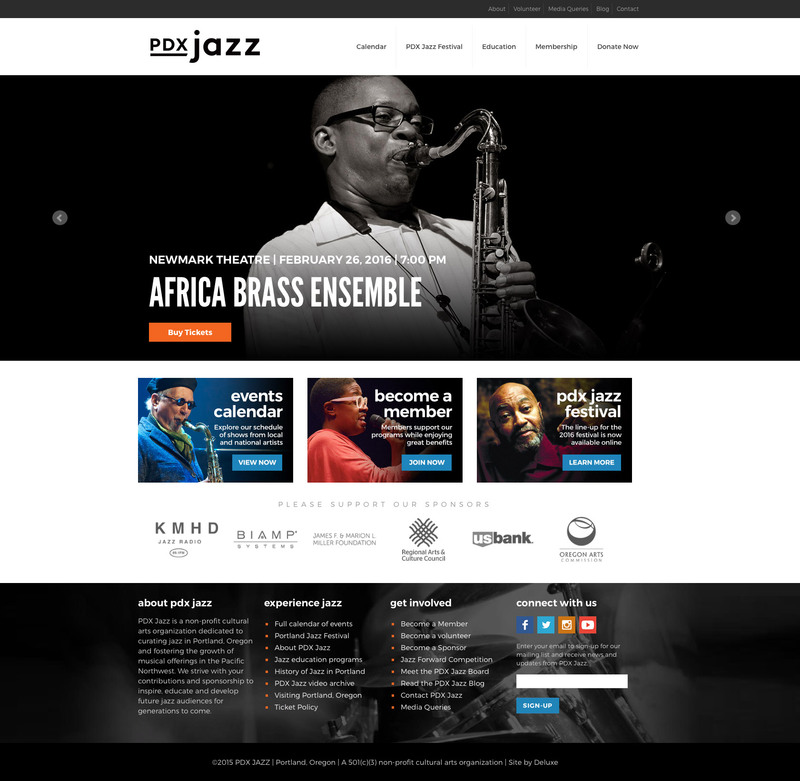 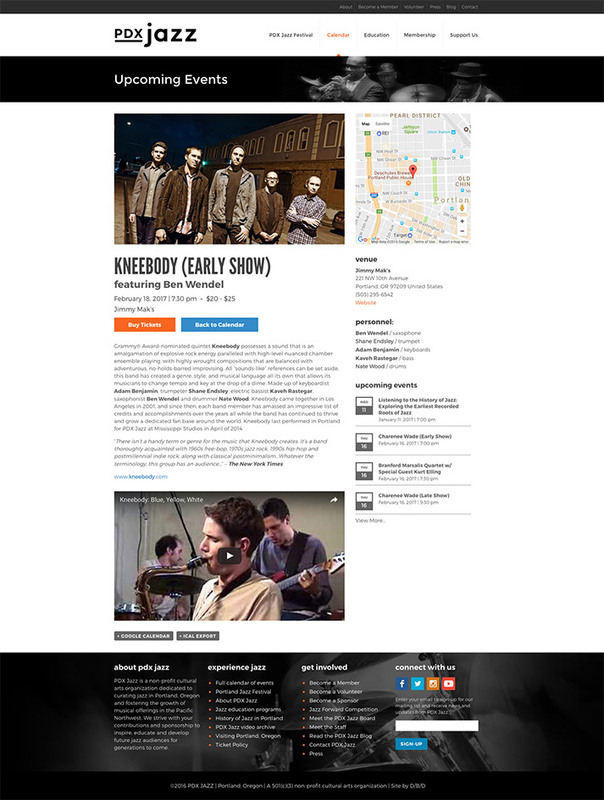 WordPress website design and build project for PDX Jazz, a non-profit arts and cultural organization dedicated to curating jazz in Portland, Oregon and fostering the growth of live music in the Northwest. 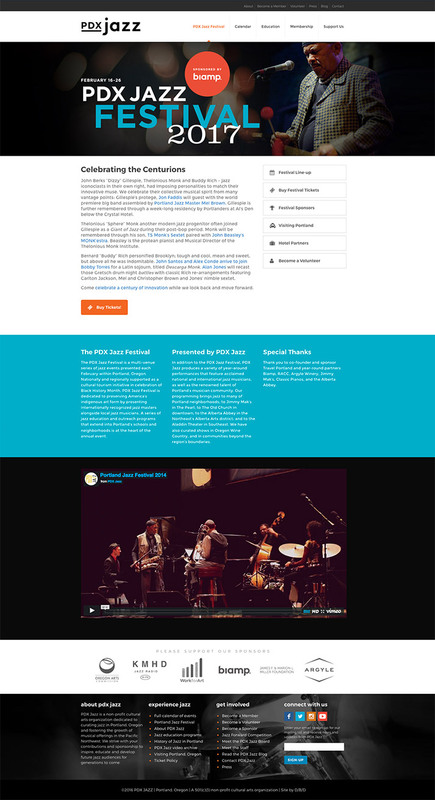 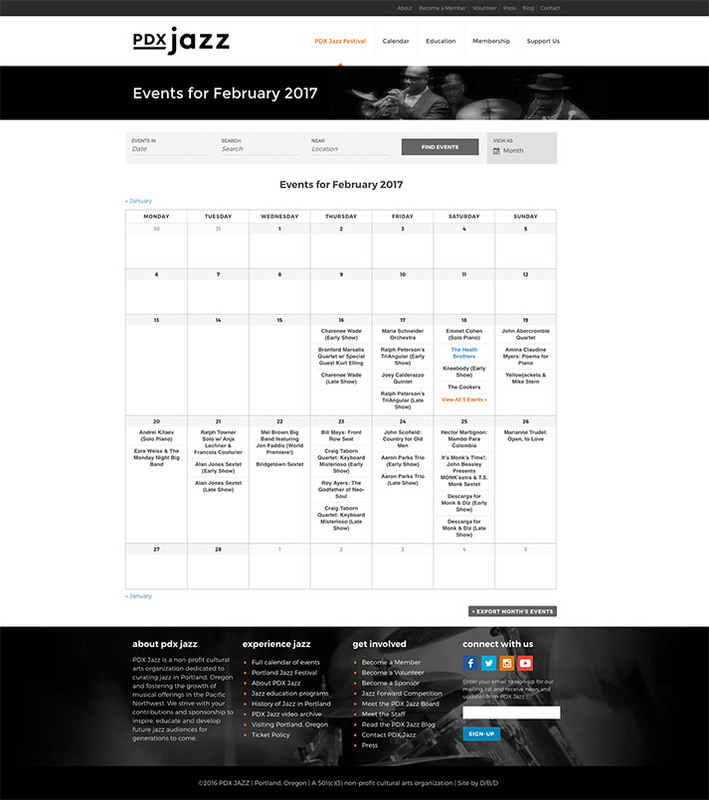 The site has an extensive customized events calendar system that includes the PDX Jazz Festival, an internationally-recognized, two-week concert event each February. 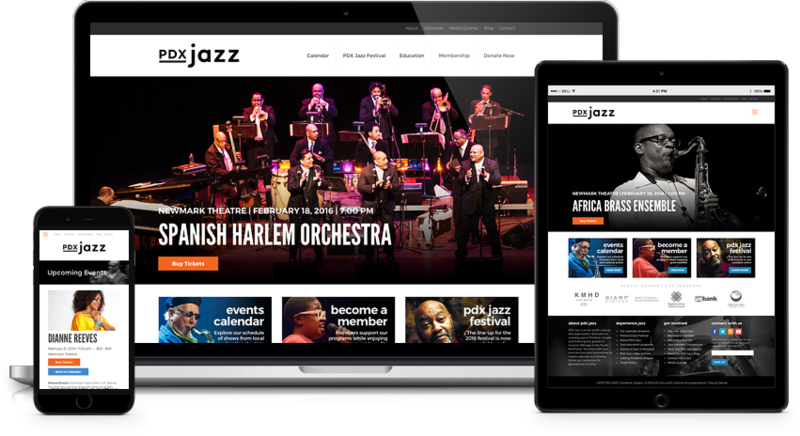 We developed the site branding in partnership with Studio McLaughlin, who also designed the new logo and identity system.